Open floor plan with vaulted ceilings, 1 bedroom, 1 full bathroom plus a nice mezzanine that could be use as an office or extra storage space. Front and back balcony decks. Updated kitchen, newer furnace, new carpet and new paint. Spacious bedrooms with ample closet space. Lots of light! Great community featuring pool, clubhouse & green space. This is a MUST SEE! Near Buckley Air Force Base, schools, shopping areas, walk paths, and lots of restaurants. This one won't last. One car reserved spot. 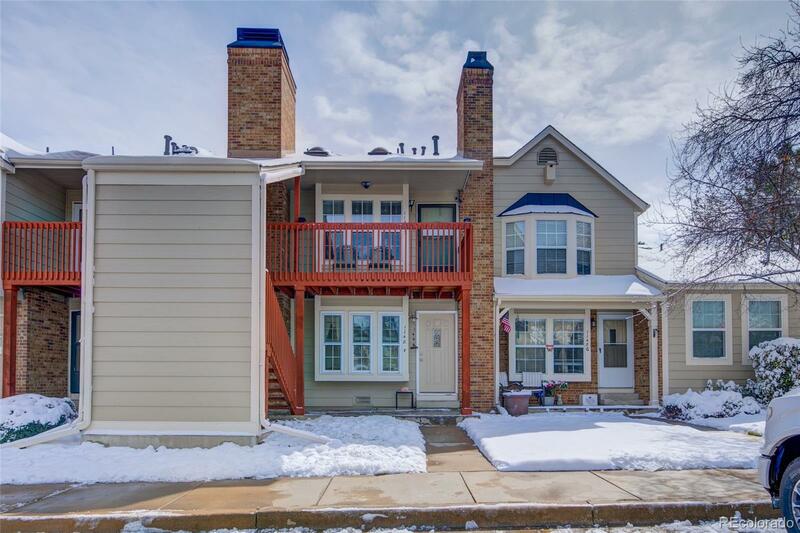 The content relating to real estate for sale in this Web site comes in part from the Internet Data eXchange ("IDX") program of METROLIST, INC.DBA RECOLORADO® Real estate listings held by brokers other than Priority Properties Inc are marked with the IDX Logo. This information is being provided for the consumers' personal, non-commercial use and may not be used for any other purpose. All information subject to change and should be independently verified.